The Tralee – Fenit ‘Goldway’ mentioned in the Dáil. The Tralee to Fenit Greenway was mentioned in the Dáil yet again recently this time during a debate on the finance bill. Minister Brendan Griffin was waxing lyrically about the benefits of Greenways while welcoming the extra €50 million allocated for greenway development in the budget, lets hope we see some of that funding down here next year ! I am glad that an extra €50 million has been allocated to greenway development, which has sustainability written all over it. There is huge potential for additional greenways. Research shows that every euro spent on greenways has a massive return in terms of economic activity. An example of that is the greenway from Westport to Achill. I was on the route from Newport to Mulranny in 2010 and it was a short, quiet greenway. I went back in 2013 and when I was sitting in a hotel in Achill waiting for a taxi to bring me back to Westport after completing the greenway I wrote a blog entitled “Why greenways should be called goldways”. Activity on the route included taxi hire, cafés, bicycle hire and many other little shops doing very well out of it. There is great potential to do even more in that regard. 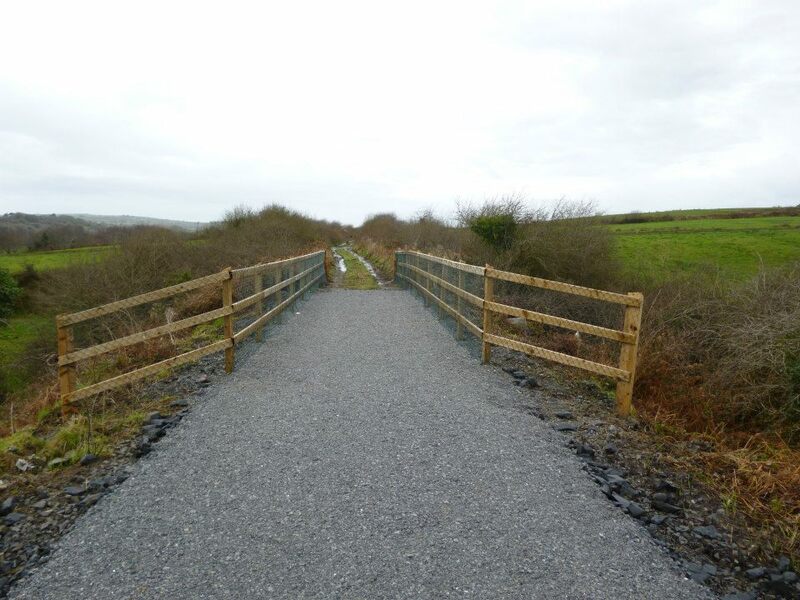 Members know of the Dungarvan greenway, which is going very well, and there is much more potential in terms of canal banks, old railway lines and various other assets. In terms of old railway lines, I am particularly familiar with the south Kerry line from Farranfore to Valentia Harbour and lines from Tralee to Fenit and Kilmorna to Listowel. Not only are those assets available but we have an obligation to those gone before us who built those fantastic feats of engineering by hand to make the most of those resources. Not to do so would be a terrible waste. Those fantastic feats of engineering were put in place in the late 1800s when there was little machinery to assist in their construction. We have an opportunity to make the most of them for this generation and for future generations and need to grasp that opportunity. I am, therefore, glad that €50 million has been allocated for drawdown in 2019, 2020 and 2021 and will be working on that within my Department. 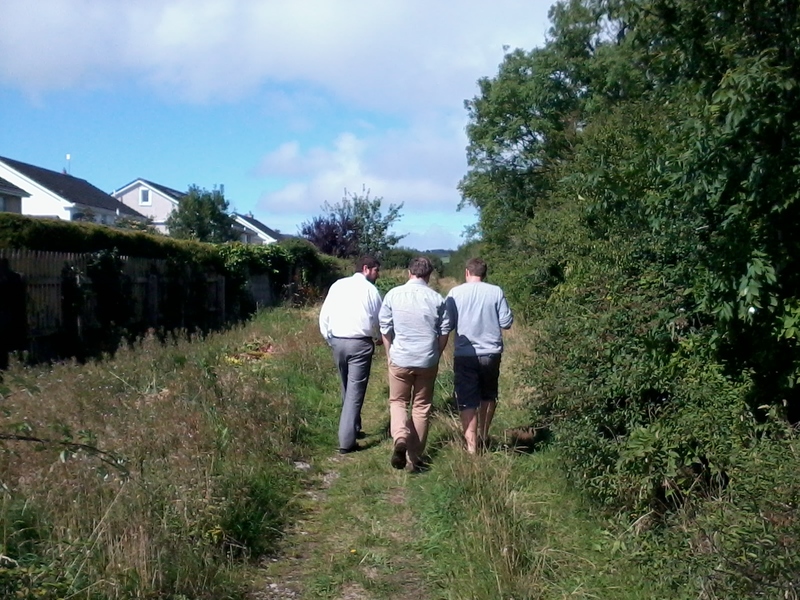 Photo – Minister Griffin walking the yet to be developed part of the line north of Mounthawk in 2013. Posted in Dail, Great Southern Trail, Tralee to Fenit Cycleway/ WalkwayTagged brendan griffin, funding, gst, Kerry, waterfordLeave a Comment on The Tralee – Fenit ‘Goldway’ mentioned in the Dáil. The story of the development of the Great Southern Trail in Kerry featured on RTE’s Today with Sean o’Rourke his morning. Reporter Brian O’Connell was in Listowel and the surrounding areas over the weekend and met some of those on opposing sides of the issue. Interestingly North Kerry Abandoned Rail Line Action Group (NKARLAG) addressed the media for the first time having refused to speak to the local media in the past.